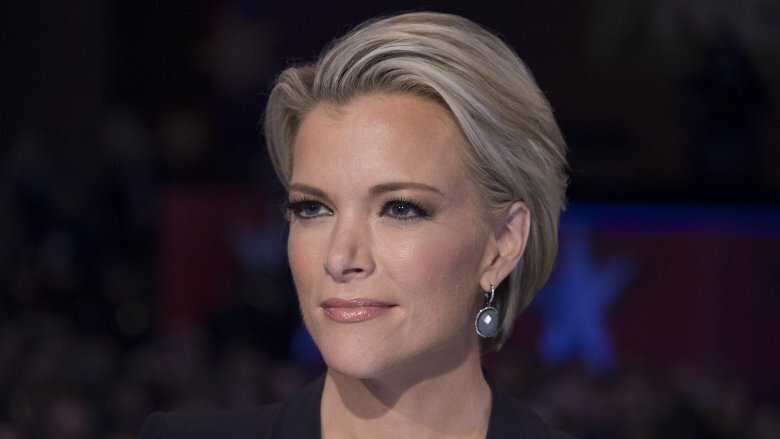 Megyn Kelly Today is no more. The former Fox News personality's perpetually ratings-challenged NBC morning show launched in September 2017 and soldiered on for over a year, before having the plug pulled in October 2018. NBC told CNN in a statement, "Megyn Kelly Today is not returning. … [She] remains an employee of NBC News and discussions about next steps are continuing." 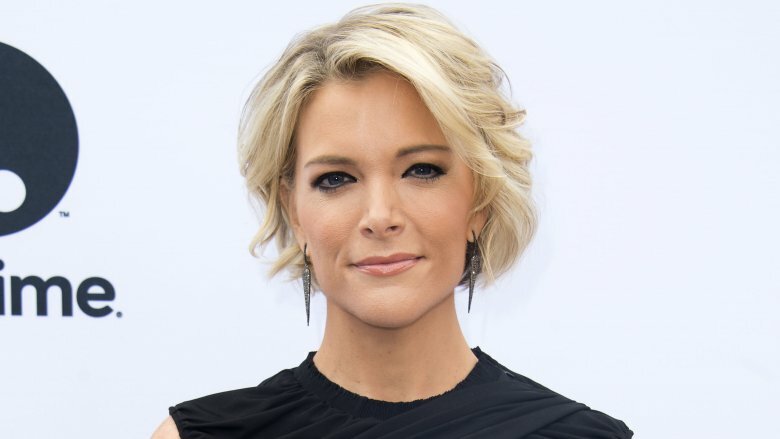 As far as the rest of Kelly's show staff, sources told Entertainment Tonight that everyone other than Kelly who worked on Megyn Kelly Today will be "reassigned" within different NBC shows, with most taking roles on other Today properties. However, insiders speaking with Page Six weren't too optimistic about Kelly's future at the peacock, telling the tab, "It's complicated. She has a multiyear deal. … They're in negotiations and figuring out what the end result is going to be. It's all a process, but they're likely parting ways." So, what exactly went down at Megyn Kelly Today that made it fail? As it turns out, a lot more than people realized. Megyn Kelly has made plenty of missteps at NBC, but likely her most egregious blunder — both to audiences and to network execs — was her utterly tone-deaf blackface comments. In a segment that aired Oct. 23, 2018, Kelly defended the use of blackface for Halloween costumes, saying that when she was a kid it was fine as long as you were "a character." There are a lot of obvious problems with that sort of statement, the least of which being that she engaged in that commentary with an entirely white panel of guests on her show. Kelly issued a mea culpa the following day, telling the audience she was sorry, but also still somewhat defending her stance, explaining that she believed "as long as it was respectful, and part of a Halloween costume, it seemed okay" and that she was "never a PC kind of person." Her in-studio audience gave her a standing ovation, but it was too little too late for audiences and NBC brass. Kelly's blackface comments didn't just insult viewers, she also infuriated her colleagues at NBC. Al Roker and Craig Melvin called her out on air, and Lester Holt reported on the gaffe on NBC Nightly News. Melvin called Kelly's comments "ignorant and racist," Deadline reported, while Roker said that while Kelly apologized to the NBC staff, "she owes a bigger apology to folks of color all over the country." 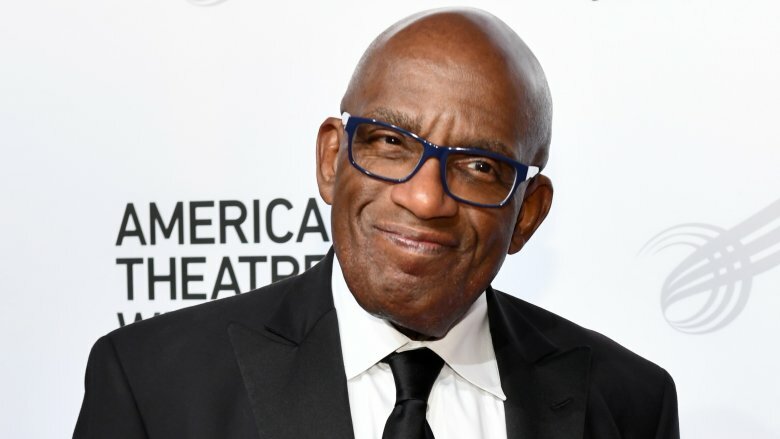 Sources told Radar Online that Roker actually encouraged NBC to fire Kelly after her comments, claiming his comments on air were only the extremely polite version of how he really felt about her statements. 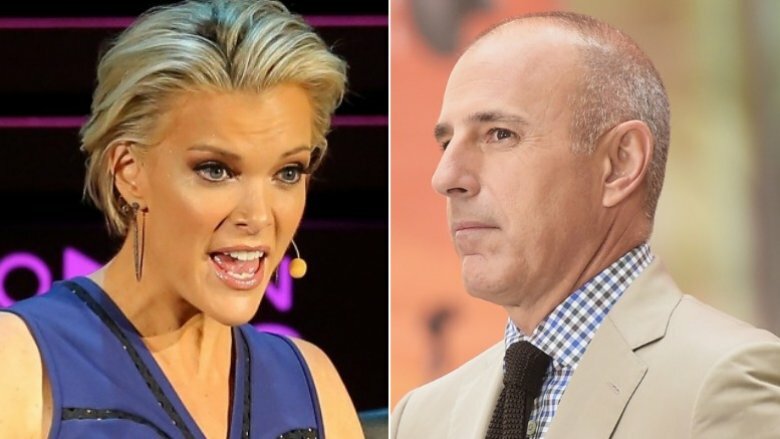 "Al's not satisfied with Megyn's apology and he's disgusted with her and the network," an insider revealed. "He doesn't think she's good for the network and wishes they would just yank her." The source also claimed Roker and many of Kelly's other colleagues refused to acknowledge her after the incident. After her blackface comments, the cast of House of Cards pulled out of an appearance on Kelly's show, reported Deadline. However, long before the blackface remark, Kelly had issues booking guests for Megyn Kelly Today. 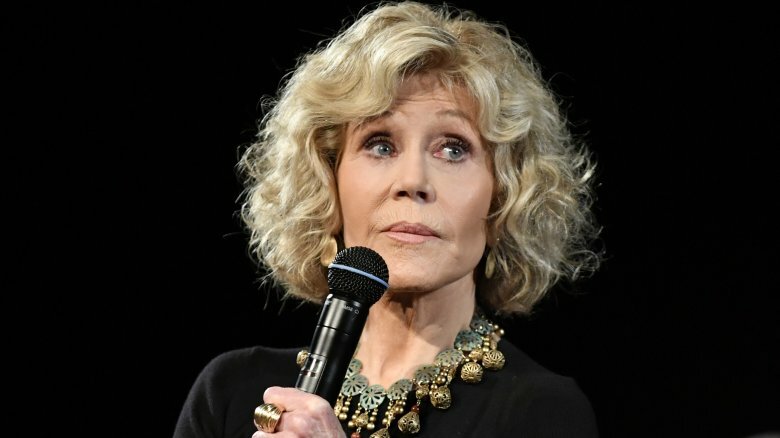 In the first week of the show in September 2017, Kelly embarrassed guest Jane Fonda when she asked the legendary actress about having plastic surgery, then slammed Fonda in subsequent episodes of the show for her past as a Vietnam war protester. Page Six reported that even NBC insiders were shocked at how far Kelly took her beef with Fonda. Actress Debra Messing, an outspoken Democrat, said she regretted appearing on Megyn Kelly Today to promote Will & Grace, especially after Kelly asked a fan if he became gay because of Will's character on the show. "It has become too controversial. It's all about Meg and not the project you are promoting," a source told Radar Online. "Celebs go on these shows to promote CDs, movies and projects. They don't go on it just hang out and have fun — and they certainly don't go on to become part of a controversy." The TV ratings for Megyn Kelly Today were abysmal from the start, and Page Six reported that it's, in part, because the polarizing anchor has a "likeability problem" that made her less popular than former Today anchors Ann Curry and Matt Lauer. Sources told Radar Online that Megyn Kelly Today was a ratings disaster, and that it infuriated Hoda Kotb and Kathie Lee Gifford because the negative viewership bled into their fourth hour of Today — causing further drama between the anchors and the network's executives. Not only did Kelly have trouble getting viewers at home, Radar Online also reported that she had trouble filling up her studio audience. While other morning shows have six-month waiting lists, even giving tickets away during Today didn't help bolster Kelly's crowd, allegedly requiring camera tricks to make the studio look full of enthused audience members. For her part, Kelly laughed off the negative reviews and audience reception, calling her premiere week "educational." Megyn Kelly also committed some NBC no-nos both on-air and behind the scenes that allegedly angered network executives. In January 2018, Kelly reportedly tried to book former E! News anchor Catt Sadler, who accused E! of sexism when the network allegedly refused to pay her a salary equal to her male co-host. The problem? E! is a subsidiary of NBCUniversal. Yikes. There's more — Kelly did succeed in booking former NBC staffer Addie Zinone, who alleged the inappropriate sexual relationship she had with former Today anchor Matt Lauer during his time at the network was an abuse of his power. Asked by Us Weekly if she got any flack from the network about the interview, Kelly stated that she felt strongly about reporting on the #MeToo movement, adding, "I didn't let anyone stop me at Fox, and, and I'm not going to let anyone stop me at NBC." 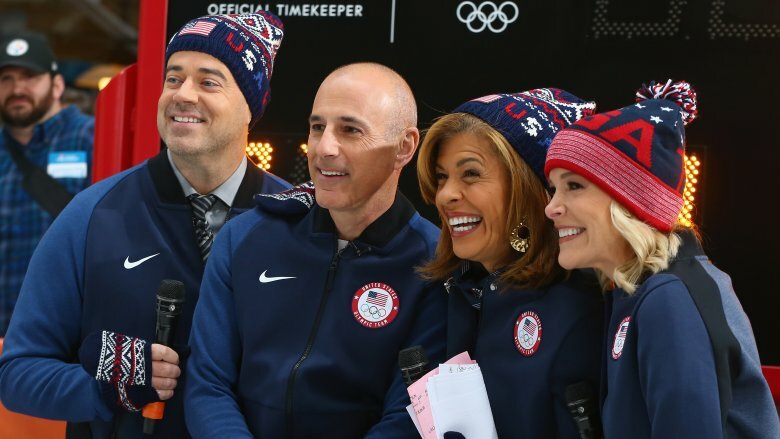 When prompted to talk about Lauer's possible return to the network, Kelly also dropped this shade bomb: "I know too much that others don't know." Um, what? 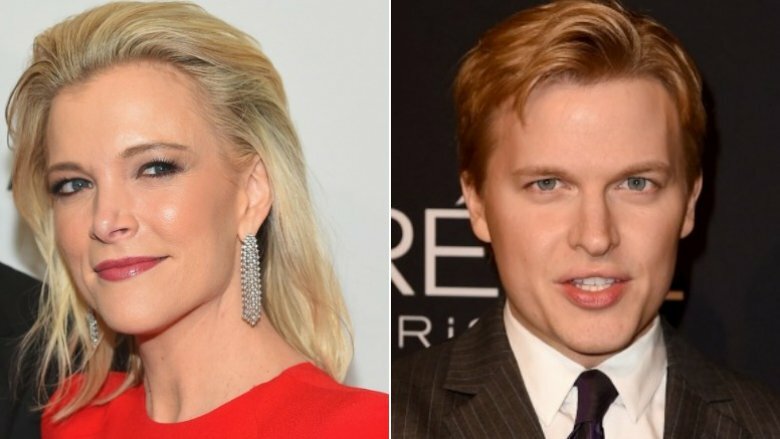 Megyn Kelly did an entire segment on NBC's decision not to report then-contributor Ronan Farrow's expose on Harvey Weinstein's decades-long history of sexual misconduct and sexual assault allegations, which eventually ran in The New Yorker. The network claimed that issues with Farrow's story made it unfit for broadcast. But Farrow alleged NBC blocked his reporting, and that they'd misled staffers and press by omitting on-the-record sources he'd secured. During the segment which reportedly peeved the network, Kelly said on air that Farrow, former NBC producer Rich McHugh, and Rose McGowan all told her that McGowan was on the record about Weinstein, but that they wouldn't use the footage, adding, "There's the question of the faith and confidence of the public in the reporting of NBC on matters involving itself. … To me, as a lawyer, it's always better if you just send it outside. And then people can have more faith in it." 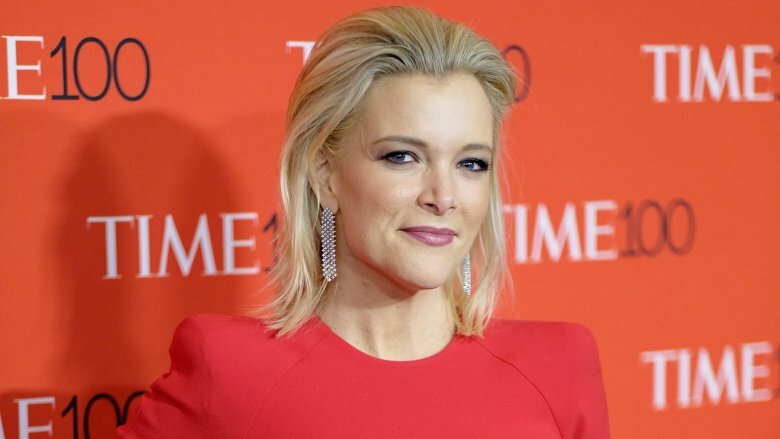 Former Megyn Kelly Today head writer Kevin Bleyer claimed he was fired in January 2018 for reporting co-executive producers Jackie Levin and Christine Cataldi for allegedly bullying junior staffers, according to an email Bleyer sent to colleagues, which was obtained by the Daily Mail. Bleyer accused Cataldi of calling her assistant an "idiot," and alleged that Levin "scapegoated" staffers and called Bleyer a "f**king whiner." The email also highlighted what Bleyer called the "absurdity" of the show receiving praise for coverage of high-profile harassment stories, "while the staff producing those stories feels so embattled and bullied themselves." Another source said that "the working environment" of the show was "completely toxic," and that "Megyn's show doesn't practice what she preaches … It's a joke." It should be noted that some NBC insiders insist that while there were a lot of issues with the show's staff, they don't believe Kelly was aware of the alleged abuses of power that went on behind the scenes. Reports of Today anchor in-fighting started even before Kelly began filming Megyn Kelly Today. Prior to Matt Lauer's ouster for sexual misconduct, he was reportedly peeved that Today staffers may defect to Kelly's program, sources told Radar Online in May 2017, months before Kelly's show premiered. Once the show aired, tensions supposedly intensified. In January 2018, Kelly referenced a "dark time" that Today co-host Hoda Kotb had been through previously. While she was speaking about Kotb's battle with breast cancer, she didn't specify that, which prompted confusion among viewers that allegedly upset Kotb. "Everybody in the control room gasped when Megyn brought up Hoda's 'dark period,' because many viewers likely won't know exactly what she was referring to," an NBC source told Page Six. "That comment was awkward, mean-spirited. It really stung." It appears the bad blood continued. In early October 2018, Radar Online reported that Kelly was left out of an "NBC family" trip to see Al Roker make his Broadway stage debut in Waitress. Megyn Kelly Today was aimed at an adult female audience, but Megyn Kelly had a habit of alienating her own demographic at times, the most famous example of which were her fat-shaming comments in January 2018. During a show that featured "FitMom" Maria Kang — Reminder: She was the "What's your excuse" lady — Kelly proudly revealed that when she was in law school in the 1990s, she asked her stepfather to call her a "fata**" whenever she wanted to eat. The next day, however, she backpedaled, telling the audience, "[Obese people] need support, they need kindness, and one thing they definitely do not need is to be body-shamed." Kelly also admitted to suffering from an eating disorder when she was younger, explaining, "There were diet pills and obsessive exercise, and I had reduced my calorie intake to 500 calories a day. My heart was racing all day, my hair and skin were dry, but I was thin and so unhappy. I was scared of gaining weight because of the insane standard this country holds its women to and because I was and remain afraid of dying in my 40s." 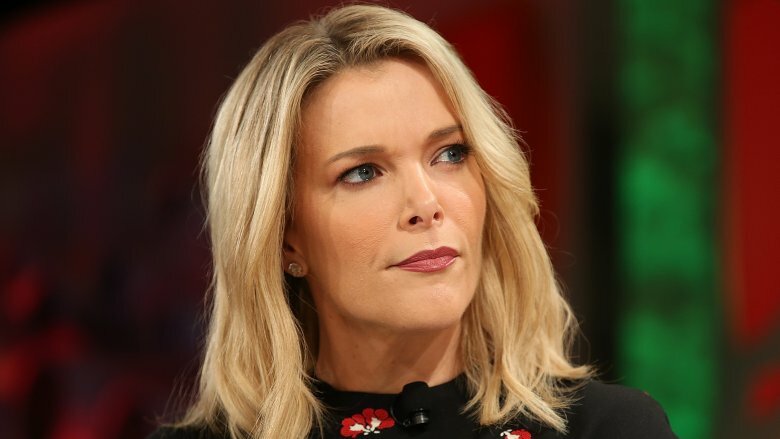 A source told Page Six that Megyn Kelly has a history of "racial insensitivity," and that was backed up in a USA Today editorial from her former Fox News colleague (now CNN commentator) Kirsten Powers. Powers alleged that Kelly had no issue with referring to former first lady Michelle Obama as "Obama's baby mama" (which the network later apologized for, despite her dismissing it as a joke) and argued with her on air for nearly 10 minutes that the "New Black Panthers" threatened "good people everywhere." Kelly also has a well-reported history of bizarre and seemingly racist statements, including insisting in a single segment that both Santa Claus — who exists purely in gentiles' imaginations — is most certainly a white man, as is Jesus, despite the fact that he was born and raised in the Middle East. She also claimed that most professional organizations have "racist emails" internally and that "to tar the whole organization with that is additionally problematic." Okay. In February 2017, Page Six reported that former Today host Tamron Hall left NBC when she learned that her and Al Roker's hour of the show, Today's Take, had been axed in favor of Megyn Kelly's now-failed effort. "Tamron was offered a multiyear, multi-million-dollar deal to stay at the Today show and she turned it down. People inside NBC were shocked. They expected her to stay," a source said. The insider added that many staffers were upset that NBC chairman Andy Lack replaced Hall, who was the first black female anchor for Today. 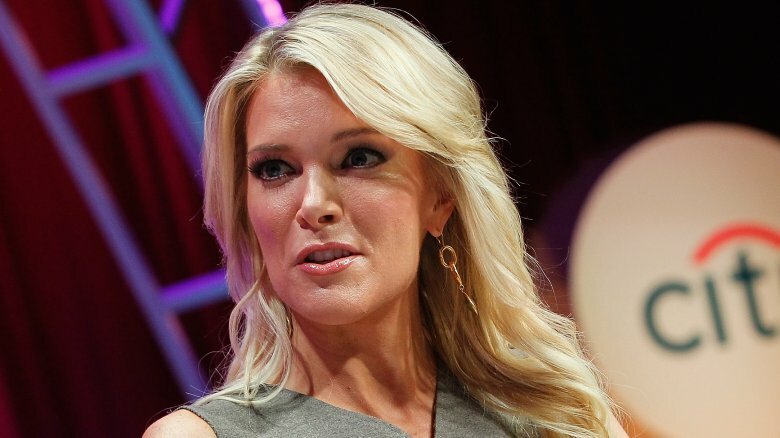 "Tamron doesn't know Megyn, but of course it's insulting. Her show was beating Kelly Ripa and Nightly News would rate well when she would fill in for Lester Holt. It was a very tense few days for everyone. There was a lot of crying," the source said. "Tamron never wanted this fight, but she was ready for it. No deal would stop her from standing up after Roker posted their successful ratings [on Twitter]." Just before news broke that Kelly was ousted from NBC, sources told Variety that she was looking into a new role at the network — and that she had been since before she angered almost the entire world. 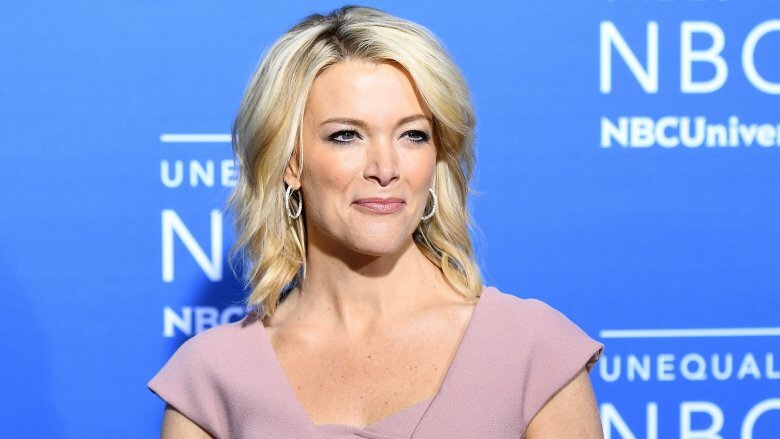 Sources also told People that "before all this brouhaha," Kelly was eager to do more political reporting in connection with upcoming elections and that talks were already underway to end Megyn Kelly Today after December 2018. As early as April 2018, it was rumored that Kelly was eager to get away from the soft, cushy daytime gig and delve into harder news. A source told Radar Online that she was eyeing Lester Holt's anchor position at NBC Nightly News, claiming NBC execs were open to the idea. "Lester is getting creamed by David Muir at ABC News, and NBC brass is desperate for a quick fix," an insider said. "Plus, Megyn is universally despised at Today. She came in with all this hype, and she hasn't produced ratings. But NBC would like to try and get their money's worth from her somehow." Insiders griped to Page Six about her fluffy morning show. "They spent all that money on this great political anchor and journalist. If you take those things away, what are you paying for?" Was it ultimately NBC's fault? An interesting perspective on Megyn Kelly's failure with Megyn Kelly Today came from CNN host Don Lemon, who places much of the blame on NBC for ever hiring her to start. "She made some mistakes and now she's suffering the consequences. But I also think that it is partially the fault of the people who hired her. Because Megyn's record, how she feels about things, she says she's not PC, it's there. All you have to do is do a Google search," he told Cuomo Primetime (via The Hollywood Reporter). "They knew exactly what they were getting when they hired Megyn Kelly." Lemon added that he didn't necessarily think Kelly herself was racist, but that her commentary was insensitive and ignorant, and that the show took her away from her strengths as a political reporter in favor of puff pieces for daytime. "I think that the management has to take some responsibility in it, she has to take some responsibility in it, and also her representatives have to take some responsibility in it," he said.